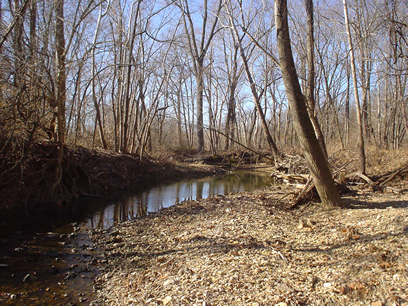 The Bramblett development is a proposed 34-acre subdivision located adjacent to Belleau Creek in St. Peters, Missouri. Bramblett Development, LLC retained Intuition & Logic to perform a watershed analysis to assess the impacts associated with the proposed development. 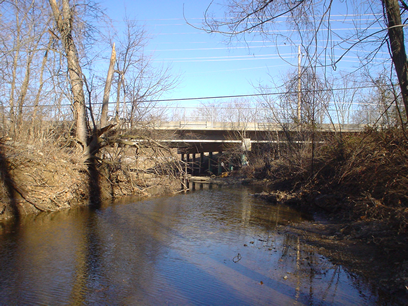 A geomorphic assessment of the existing creek was conducted and a hydrologic model was developed to evaluate the 3,900 acres of contributing drainage area. The land use was determined using aerial photographs and GIS data. From the analysis, geomorphic relationships for stable channel geometry were determined. 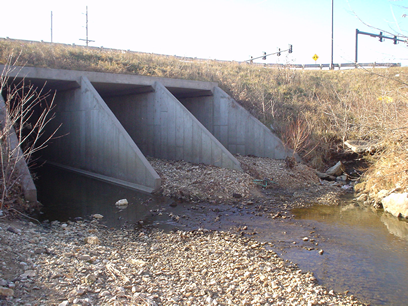 This data was used to design a channel relocation of approximately 1,900 feet of channel, while minimizing the effects upstream and downstream of the project reach. 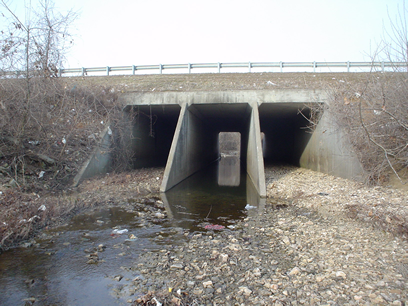 A two-stage channel was designed to provide sediment continuity through the site and to prevent excessive scour or deposition. The flows determined by the hydrologic model were used in HEC-RAS to evaluate the existing and proposed channel configurations. The model demonstrated that the proposed development would not adversely impact Belleau Creek or downstream subdivisions.